There are two ways of going camping successfully; the comfortable one and the not so comfortable option! Camping often conjures up images of a tent, a clear but starry sky and the glow of the campfire. Of course, this is one option, but it’s no longer the only one. Camping in your RV is becoming increasingly popular, providing the relative freedom of the open road with many of the home comforts. Potentially this is the best of both worlds! Caravans and yurts are also options to give you feeling of freedom and being at one with nature. The choice is entirely yours, depending on which one you prefer. One of the biggest differences is the bed you’ll be sleeping in. The traditional option for a tent is the airbed or even just a ground mat. These can be comfortable although they are unlikely to be as good as the bed you have at home. Caravans and RV’s will often have a bed the same size as your home one. This means with a little research you can choose a really comfortable bed to help you sleep every night. Take a look at these online reviews at The Sleep Judge to help you decide. If you’re in a RV then you’re going to need the traditional duvet and sheets to keep you snug and comfortable all night. However, if you’re looking to sleep under canvas then an airbed is an excellent choice. You could use a camp bed but both options are best suited to a sleeping bag and perhaps a blanket if you feel the nights will be cold. Lifting your body off the floor will help you to stay warm overnight. Camping requires you to have a camping stove, pots and pans and a plentiful supply of food. The easiest food to cook in any if these circumstances is dehydrated or dried foods, such as pasta and rice. Your decision as to which is best for you will depend upon your taste buds and your camping methods. You can have an extensive menu if you are camping with your vehicle but if you are on foot and carrying all your camping gear then the available space for food will be much more limited. In this instance it is better for you to opt for dehydrated options and cook them with plenty of water. The average adult needs 5 liters of water a day for drinking, cooking and washing. This is a lot to carry, especially if you are hiking with your camping gear. Even if you are in an RV your water tank is limited and you will need to top up regularly. Generally you can get water from any site you are on; all you need is a suitable container. However, if you are intending to head offsite and explore the wilderness you might find yourself out of range of conventional water supplies. In these situations it is imperative that you have a good sized water container or two and purification pills. This will allow you to collect water virtually anywhere and safely drink it. Every camper needs to carry a knife with them. They are incredibly useful whether you need to cut rope, attempt fishing without any tools or even mark a trail through the woods. In fact, your knife will be used in many more ways than you might think possible; until you have been camping! Folding knives are the easiest and safest to carry as they cannot be accidentally opened. They can also be attached to a keychain or belt loop to ensure they are always handy. A knife can also double as a handy can opener if you forget this essential item. In a perfect world you should carry a first aid kit wherever you go but it is an essential when you go camping. A simple trip can result in a nasty wound or even a broken bone. Your first aid kit must have plasters, bandages, anti-septic cream, bite relief, gloves and even eye wash.
Other items are discretionary depending on where you are going and what you think you might need. It is important to keep additional quantities of any prescription medications you are taking; just in case you become stuck somewhere. Remember that the greater the number of people camping the larger your first aid kit will need to be. This might seem like an obvious statement but when you are camping it is surprisingly easy to get cold. While it is important to bring something to start a fire, this will not help when you are cold but moving round, trying to get things done. In this situation you’ll find the best clothing is that which allows you to add or remove layers. A vest can be covered by a t-shirt, then a shirt, and then a jumper and a fleece before you even consider a coat. This will ensure you can adjust your body temperature to suit! It doesn’t matter which form of camping you adopt, there will be a time when it gets dark and you need to see what you’re doing. A torch is the best source of light, whether relaxing in your tent or trekking along a path. Without one you’re likely to trip over a root or stone and need the first aid kit; which you fortunately included in your supplies! A torch can also be a useful way of signaling for help if you have got into trouble while camping or hiking. It is advisable to bring at least two torches or a torch and a lantern, plus spare batteries. You might also like to consider a headlamp as they can allow you to see what you’re doing while keeping your hands free. The sun can be exceptionally powerful and quickly burn your skin if unprotected. This can lead to a range of issues from sun burn to heat stroke. 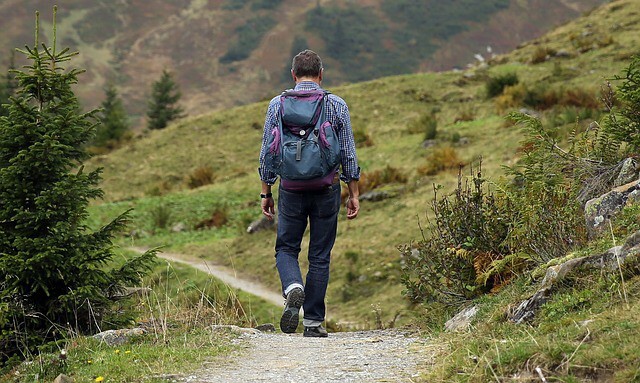 Any of these will affect your ability to enjoy your camping trip and may even cause health issues, especially if you have become most and are wandering in the wilderness. It is important to bring sunglasses, a hat and sun screen. This will help to ensure the sun does not do any damage to your skin or your health. If you’re driving you might choose to use a GPS. In fact, a handheld unit is an option if you’re hiking. However, it is also essential to have a map and compass with you and know how to use them. If you are separated from your GPS or its batteries fail you will still be able to work out where you are and which direction you should be moving in. This is particularly relevant if you are off the beaten track; your GPS might not be able to get a signal and will be useless to you. Of course, if you carry a map and compass it is important to know exactly how to use them! A camera is more important than you might think on a camping trip. The lens on the camera can be used to magnify the sun’s rays and help to start a fire. A camera can also be used as an emergency flashlight. But, perhaps most importantly, a camera can be used to record a picture of any insect which has bitten you or your fellow campers. This will help medical personnel to give you the right treatment when you return to civilization. 2 way radio – this will allow you to call for help if your cell phone has no signal. Mirror – If you get into trouble this can be used to signal for help by reflecting the sun’s rays. Area Specific – For example, if you’re going into a snowy part of the country or world then take extra warm gear to deal with the temperatures you’ll be facing. Black bags, these can be used to store rubbish, as a waterproof poncho or even as a makeshift tent, if necessary. A roll is also very easy to carry. Cards or games – these can help to pass the time when you’re stuck inside due to inclement weather; it can actually be fun! Camping can be great fun, you simply need to pack these essentials and consider carefully where you are going and what else you might need. 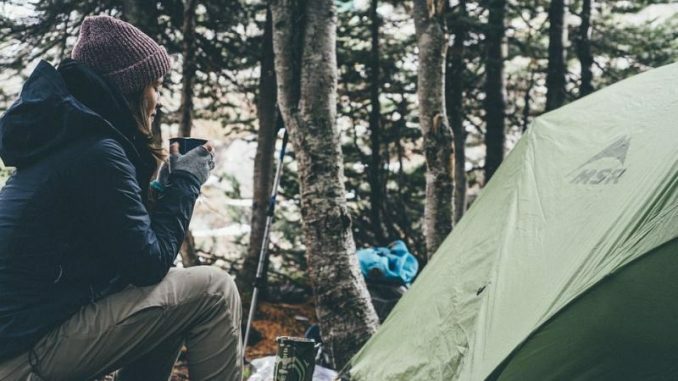 This will ensure that you are prepared for every eventuality and that your camping trip is a success, no matter what situation you find yourself in. Always have a folding knife, BUT, always have a fixed blade knife of significant size and of robust design, as well. You won’t accidentally open a fixed knife, but it won’t accidentally close and cut you either. And get and use a can opener not a folding knife to open cans.